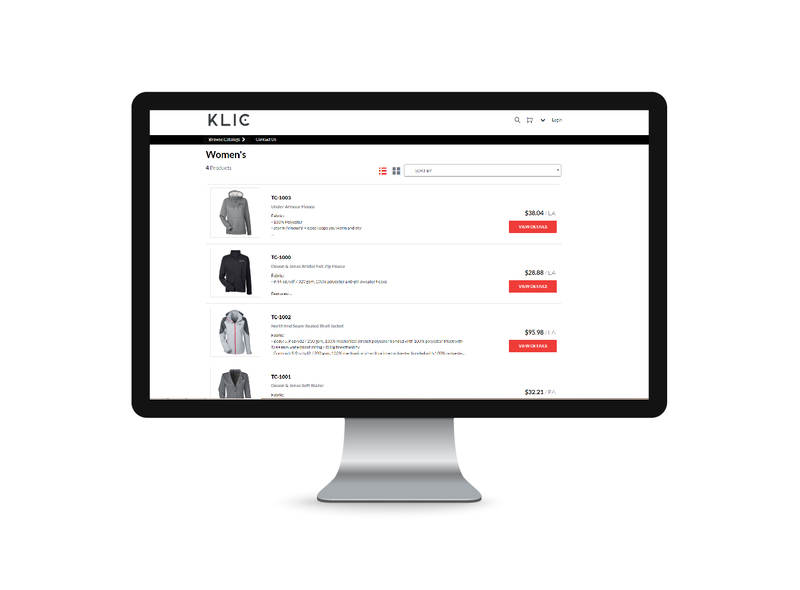 KLIC blends the best of both worlds: the B2C-like shopping experience expected by today’s buyer combined with the B2B roles, reporting, and functionality that remain essential. 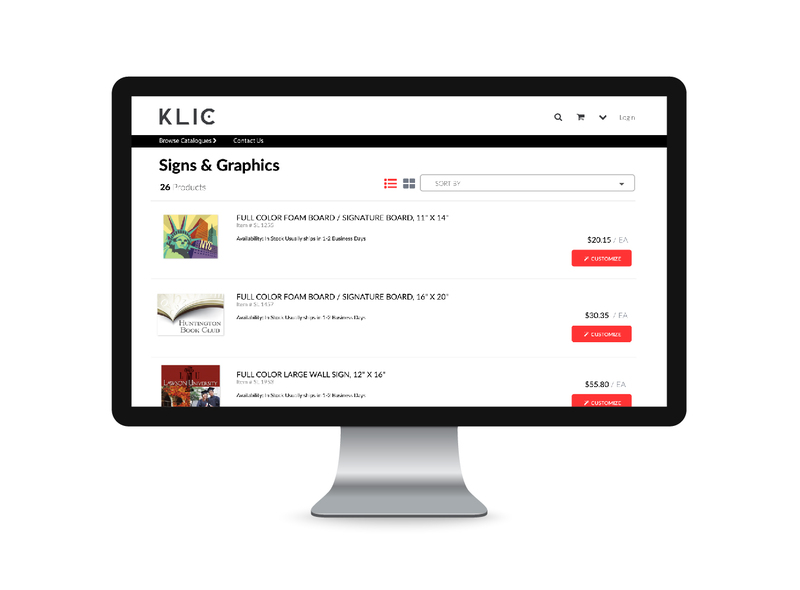 With flexible options and design capabilities to fit your brand and business needs, KLIC Promo is a key, easy-to-use vehicle for driving promotional marketing efficiency and brand compliance. The world's leading companies trust KLIC to deliver visual messaging to their retail stores, health facilities, and professional office settings. From strategy and concept to design, production, and installation, we offer a comprehensive catalog of 3D, 2D, and digital signage — anywhere, anytime, and from any device. For versioned marketing initiatives and events, clients use our proprietary location-profiling system to simplify their supply chain while minimizing excess inventory. 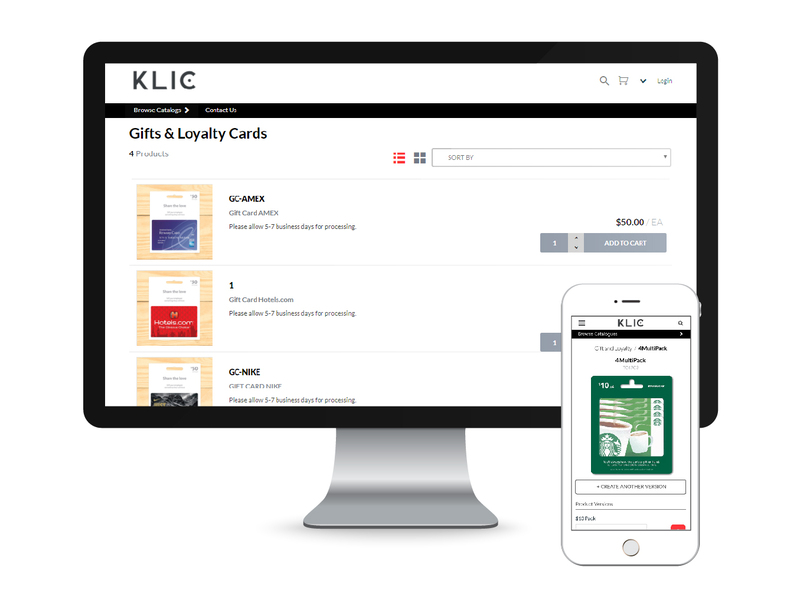 Take your gift and loyalty programs to the next level with KLIC, a web-based tool that gives you the ability to order customizable gift, loyalty, or membership cards. 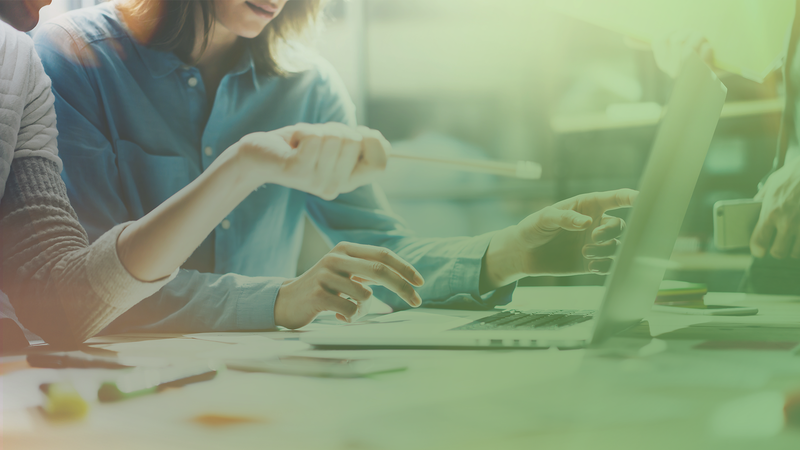 This solution can be embedded into your website for seamless, secure integration with multiple business rule options — anywhere, anytime, and from any device. Additionally, our customizable reporting suite offers effortless management of sales rep and customer account activities as well as inventory and usage rates.